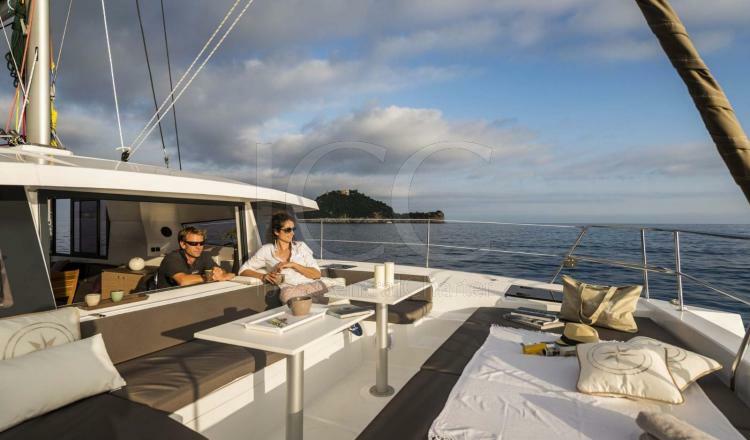 The Bali 4.0 is ideal to enjoy a holiday in Ibiza and Formentera in total comfort. 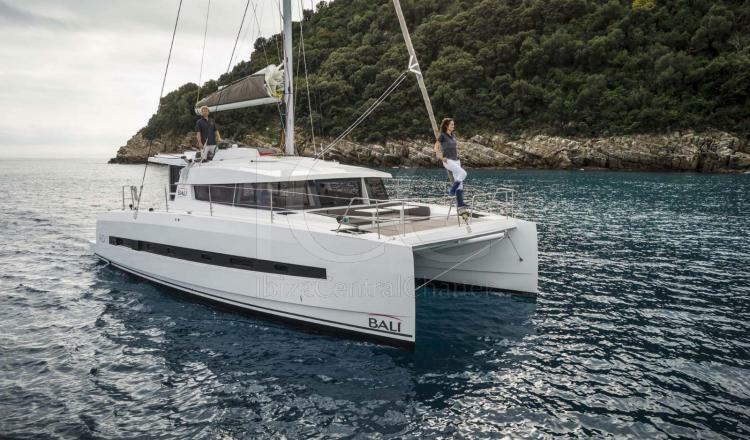 The Bali 4.0 catamaran has almost 12 meters of length and offers capacity for a group of 12 people during the day and for 8 guests during the night. 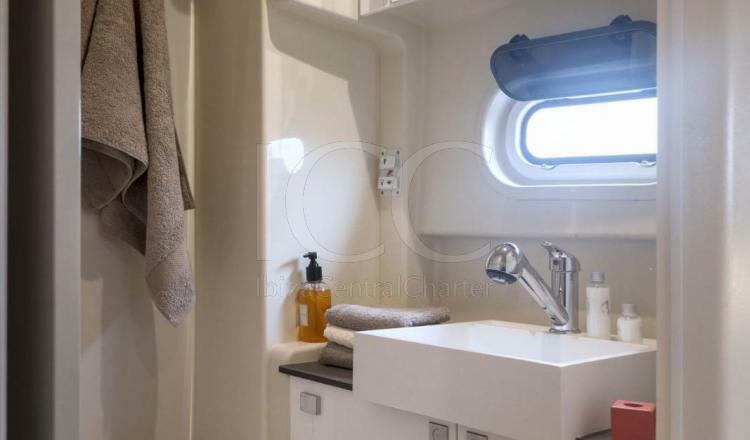 Your bathtub has a large space where you can relax in your comfortable seats with table for 6 people and enjoy a spectacular lunch or dinner on board as it is equipped with a full kitchen. The entire bathtub is covered by a rigid roof and some side and front windows that allow a panoramic view so as not to miss at any time the spectacular views that the islands of Ibiza and Formentera give us. 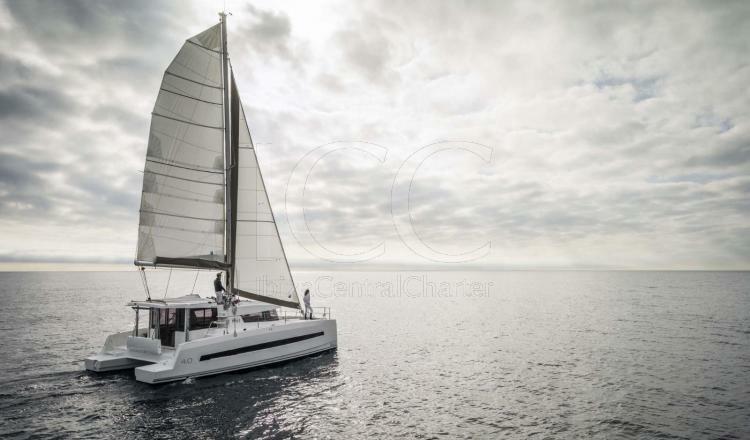 Inside there are 4 double cabins with a private bathroom each, plus the possibility of converting the living room into a double bed increases the comfort of your guests on board. 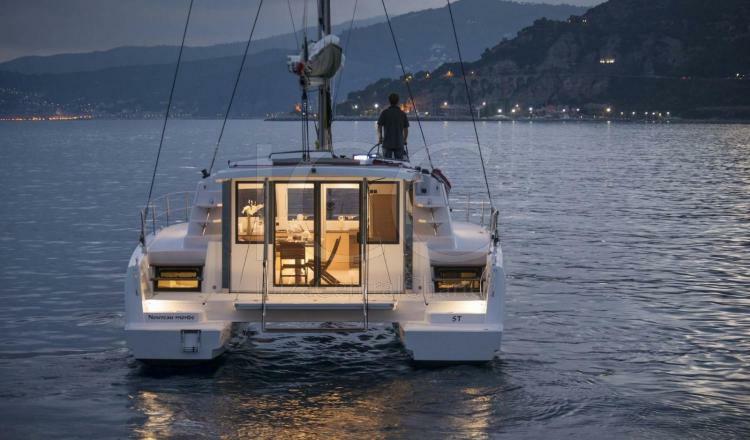 Outside we find a second tub in the bow from which you can access through long and well protected walkways, which makes it the ideal boat for family vacations. 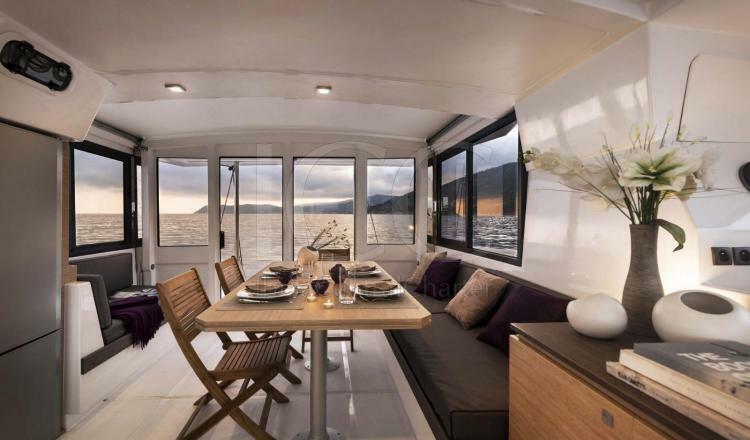 Where there is a spectacular solarium to relax in the sun or sit on the sofa and enjoy the sea breeze while sailing. 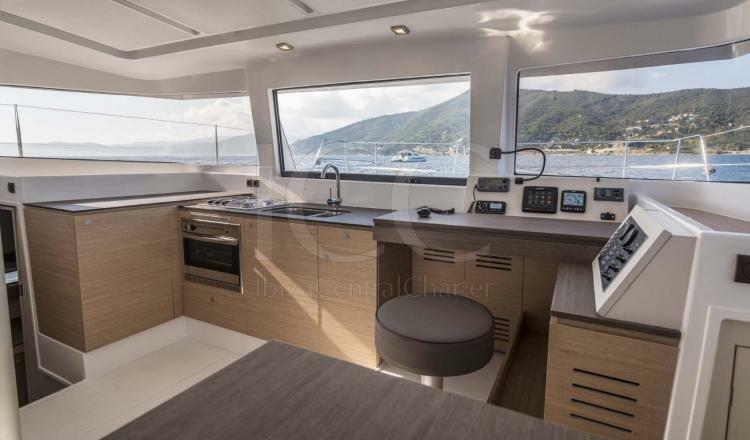 The aft area is equipped with a hydraulic bathing platform that multiplies the space when the boat is stopped and the bathroom stairs that make access to the water easier and more comfortable. Finally, in the flyrbidge you will find the control area and a sensational relaxation area with comfortable seats and mattresses for sunbathing.